Sustain your presence by capturing the human experience with your customers via images of great moments around them. Steve's Event Photography is a full service event photography company ready to assist you before, during and after your special event to help you and your organization reach your goals. 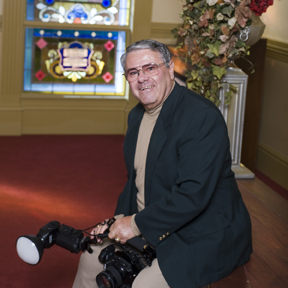 As an Indianapolis Event Photographer, Steve’s Event Photography specializes in a wide array of events (Award Banquets, Golf Outings, National and International Conventions, Conferences, Trade Shows, Executive Meetings). It is crucially important the special event photographer you choose is the right one for you. We take the time to understand exactly what you want and then do whatever it takes to deliver. When the guests and attendees all leave, the only thing left is the memories and the photographs. Our hard work, professionalism and talent will give you the memories you can hold onto for a lifetime. We are truly proud to offer you the highest level of quality photography service available. Your business thrives on a professional image that will leave your clients with an unforgettable first impression. Whatever your marketing concept, we can create flattering, professional photographs that will entice and impress your clients before they even meet you.